Mark Selby battled to a 5-3 lead over Marco Fu in the first session of their Betfred World Championship semi-final clash. 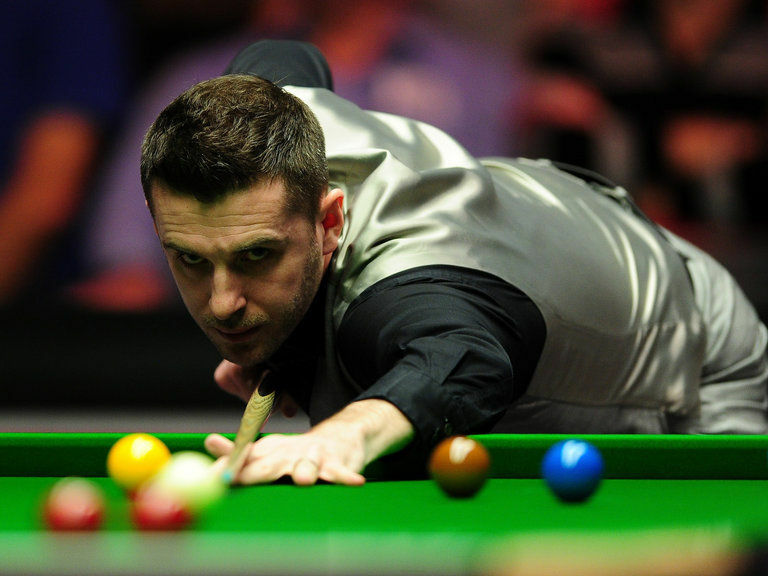 World number one Selby is aiming to reach his third Crucible final, having lost in 2007 against John Higgins and won the tile in 2014 by beating Ronnie O’Sullivan. The 32-year-old from Leicester is yet to hit top gear in this event, but his toughness as a matchplayer and expert safety game have got him this far. He needs to win 12 of the last 25 frames on Friday and Saturday to book a final spot against Ding Junhui or Alan McManus. Hong Kong’s Fu is playing in his second Sheffield semi-final and first since 2006 when he lost 17-16 to Peter Ebdon. Along with China’s Ding, he is aiming to become the first Asian player to reach the final. Selby was off to a fast start tonight as breaks of 49, 56 and 63 gave him the first three frames. World number 14 Fu pulled one back with a run of 72 to make it 3-1 at the interval. Frame five came down to the colours and Selby had a chance to clear, but the blue jumped out of a centre pocket when he tried to force it in to gain position on the pink. After a safety exchange, Fu potted the blue to close to 3-2. Frame six was also a scrappy one and Selby eventually won it with a run of 43. Fu took the next with 89 – the highest break of the session – but Selby won the last with a run of 69 to secure a two frame overnight advantage. They resume on Friday at 2.30pm.